Indeed it is not Liam. 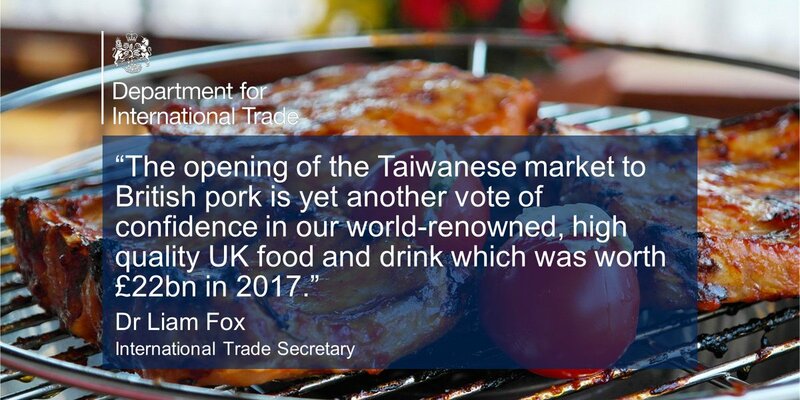 Because Taiwan opened its market, not to British pork, but to EU pork. This deal was done by the European Union. as our Brexit minister pointed out. Is Fox thick, or just a liar? Can I have two guesses, thick or a liar. Yes… you can have three guesses. I’m betting you’d be right every time! I would say it is not the first option. Think I’ll just leave this here Tris. I think that’s the bloke that was one of the “three men in a pub”. 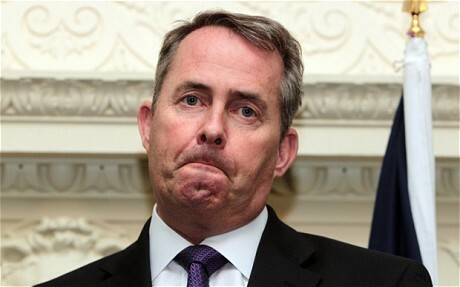 Unlike Liam Fox… sorry DOCTOR Liam Fox. I don’t think most people are taking this seriously. I think you are right Tris. As soon as I heard him talking about Hong Kong I knew I’d heard someone talking about HK before. Treaty law being a speciality of mine, I did know that already, but could not have put it better. Theresa May’s clown car Cabinet and Party strike again – Reality Denials’R’Us. Was it Michael Gove who said that the “British people” had had enough of experts, or one of the other buffoons? I suspect, Ed, that they don’t like experts, because experts tell them how things are, instead of how they WISH they were in their wee second empire minds. The bbc will be on Fox’s case immediately. Aye, right. The bbc and Fox are both economic with the truth. “It was almost inevitable given the success of the Yes summer surge but the All Under One Banner march organisers have become the target of pathetic sabotage attempts by unknown Unionist trolls. “Fresh from the success of the latest march and rally for independence in Inverness, which attracted a five-figure number to the capital of the Highlands, AUOB has been dogged by impostors on Facebook claiming that the next event is on August 25 in Dundee – the real date, as National readers will be aware, is on August 18. The British nationalists might be making another mistake. The AUOB marches have been so popular that in addition to 18 August, the Britty natties might create another just as impressive a week later. It’s extraordinary that he tweeted out a Brexit “dividend” that by his own estimates is 60% likely to end in less than 8 months time. At least he propagates his falsehoods from his personal account these days. I never cease to be amazed by this bloke’s ineptitude. 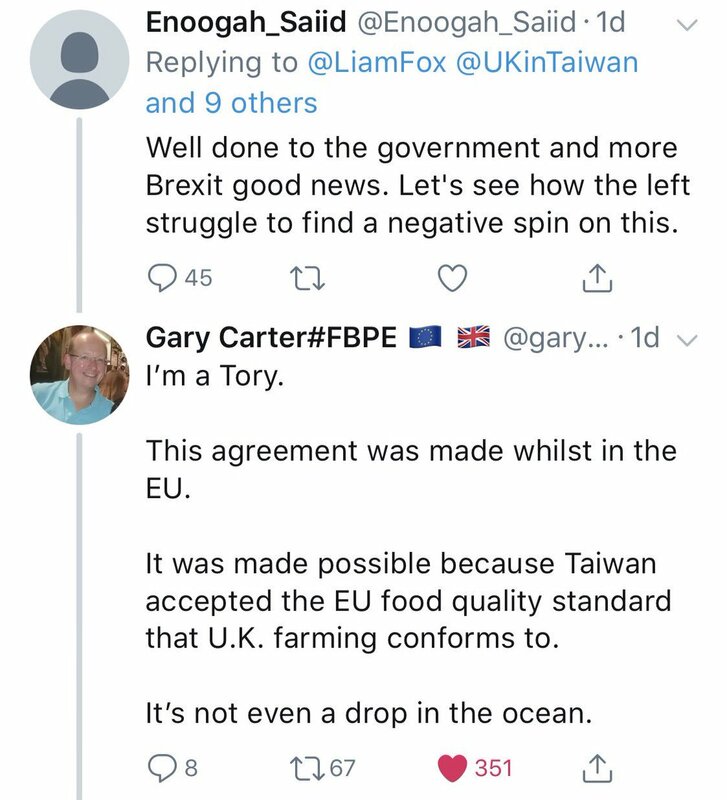 Both at his last cabinet position, and at this one, he has demonstrated an absolutely astonishing lack of talent, intelligence, ability and, well, sense of reality. They have history on this don’t they, I seem to remember they claimed the same about mobile phone chargers and I think there are a few others. Fox was lying and hoping that no one would notice and would believe that he is actually doing something when he is a crap politician in a job that won’t achieve anything. Total plank. Yeah. They’ve done it a few times. They just make fools of themselves. I find the “Doctor” label amusing. A few years ago, when the Torygraph was vilifying Dr John Reid (couldn’t happen to a nicer chap) over the use of his academic title, Fox was quoted as saying that he no longer used the title of Doctor since it was no longer appropriate since he had stopped practising medicine. Come to think of it,does a medic who has left the profession and who does not hold a doctoral degree still retain the title ? Does Fox still use the “Disgraced Former” title too? I daresay Adam isn’t enjoying as much hospitality at our expense. Pity really because apparently Foxy has gone around the world at least twice, all first class. But I suspect that he was warned not to abuse that for a second time… Or maybe not. A thick liar and a stranger to Certify, sorry… Veracity. I read the blog title as ‘Being Economical with Verrity’. So, obviously I thought that meant poor Adam would have to stay in the same room as the ‘Doctor’. So as to be economical. Two really good reports this morning on EBC R4. First was a report of the TV series friends being declared the most popular TV series in the UK as reported from OFCOM viewing figures. EBC slant; Netflix are VERY Secretive about their viewing figures, as are SKy and Virgin. Doesn’t apply to EBC where they’re protected from FOI requests. Second was in reply to a request from the CBI to have a new system of worker’s visas. Our old Friend ID Smith is allowed a interuption freeeeee rant which included the phrase ” They should just make do with the existing system”, what system is that, Oh I remember, the one that doesn’t let jonnie furiner in. The system that will not allow temporary fruit harvester workers to get in, his reply was “They should employ people from areas of HIGH unemployment of residents”, thought we had the lowest unemployment ever in the universe. This is the EBC that’s telling us they are totally impartial, aye to the truth. I don;t know where the highest unemployment areas are, but I suspect they might me in post industrial areas… which might suggest that there won’t be a lot of fruit pickers required. Secondly, as you say, unemployment is, at the moment, very low. A vast number of the people who are “unemployed” fall into the following categories. 1. They should be on sickness benefits but it has been found that the could do SOMETHING. 2. They are over 55 and, as such, have a far lower likelihood of being employed, especially in a job with involves a lot of standing, bending, and a requirement for fast working. Now I’m not saying that people over 55 can’t do these things. I am suggesting that most employers won;t take the risk. 3. People who have alcohol or drug issues. 4. People who have criminal records which make employers wary of employing them. need to be looked at. And, not that universal credit can mean that your housing benefit is affected, what would happen to a picker if they signed off, worked two days and then there was a week of rain? You’d have thought that IDS would have known some of this stuff, him having been, before he was sacked, a DWP minister. Your “item 5” is a very significant problem. Its to be hoped that once we are independent we can devise a far better system of taxation and welfare, such that people can take a few hours or days of work or work 3 days in 4 different places while not being penalised by a stifling bureaucracy which acts on the principle that we are all guilty unless we can prove otherwise. Well, it will be hard to do, but… that’s what taking back control means. You actually have to do stuff! The day doctor (and we all know what he doctors) Fox stops being economical with the truth and starts being truthful about the economy will be the day the convoy of snow ploughs head towards Hell. Previous Previous post: OH GET UP OFF YOUR KNEES, YOU UTTER EMBARRASSMENT!